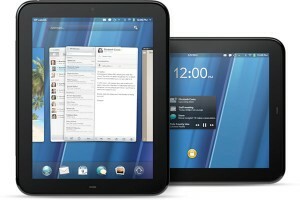 HP TouchPad largest touchscreen-based WebOS and is now $100 cheaper! The deal is on for both the 16GB and 32GB variants, suggesting that it’s perhaps the best time for all the WebOS tablet lovers who have been waiting to buy the WebOS tablet this weekend. Staples is also offering a similar deal where users can get a $100 flat off as HP TouchPad discount for both 16GB and 32GB versions. The offer is valid through 7th of August at both Staples and HP’s official retail sources. HP TouchPad tablet features a 9.7” capacitive touch display, a front-facing 1.3 megapixel HD camera, a 1.2 GHz dual-core processor flanked by a gigabyte of RAM, Bluetooth, Wi-Fi, onboard GPS, Web OS 3.0 and much more. The HP TouchPad price was originally listed as $499 for the 16GB version and $599 for the 32GB version. But, the current HP TouchPad discount price lists the 16GB and 32GB models at $399 and $499 respectively. One reason HP could have thrown up the discounts is to make the tablet even more easily affordable to a greater number of consumers who are looking at a nice tablet in around the specified price range. HP TouchPad offers are a good deal, particularly if you were already inclined to treat yourself with the WebOS tablet. While the offers may last for only a couple of days, we expect (but do not assure) that HP and other authorized resellers may strike similar offers in the near future, particularly so if a new version of the TouchPad is on the launch horizon. Next Apple iPod Touch 5G Parts Leaked!